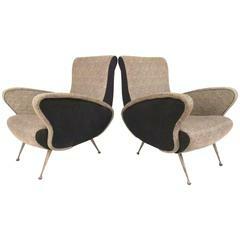 This Pair of Sculptural Armchairs is no longer available. 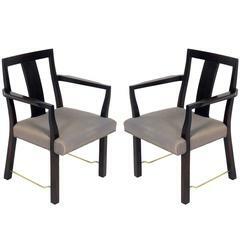 A pair of Italian sculptural armchairs with turned French polished feet and newly upholstered in grey wool. 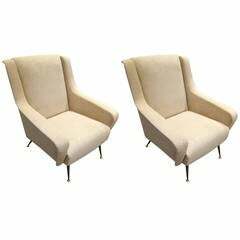 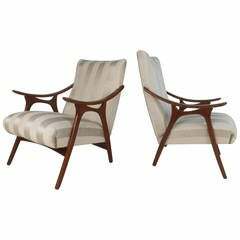 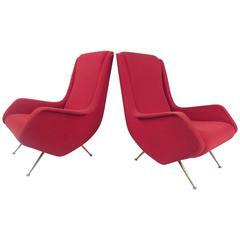 A pair of large Italian sculptural lounge chairs by Parisi. 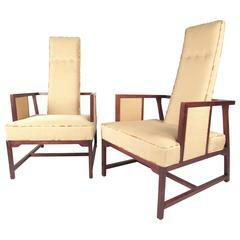 On turned French polished legs. 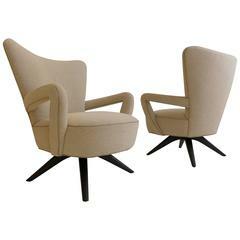 Photographed here in mole velvet but can be upholstered in a fabric of your choice.